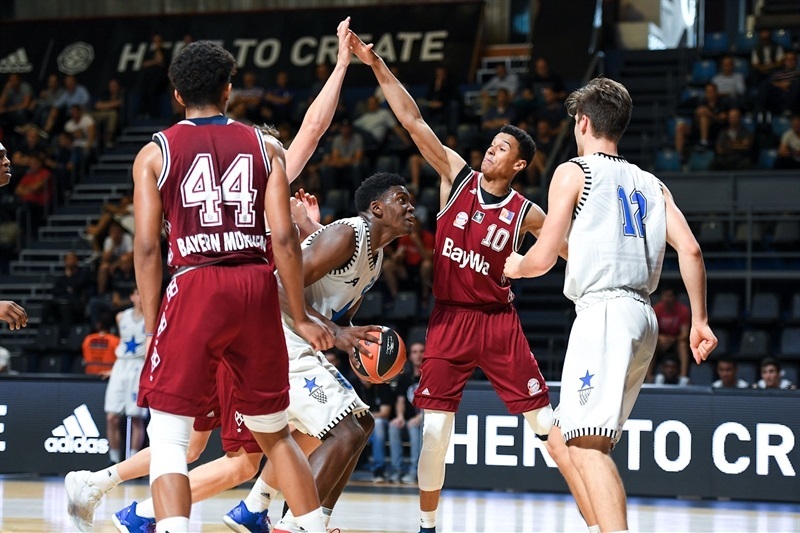 U18 Stellazzurra Rome collected its first ever victory at the Euroleague Basketball Adidas Next Generation Tournament Finals with a thrilling 67-63 win over U18 FC Bayern Munich in the opening game of Group B. Paul Eboua was the hero down the stretch but he also collected 15 points, 14 rebounds, 3 assists, 3 steals and 2 blocks for an index ranking of 34. 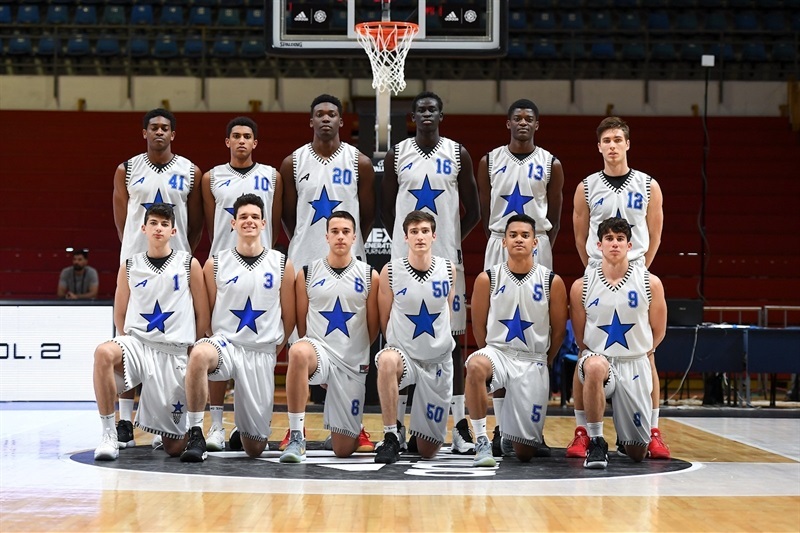 Alessandro Cipolla added 14 points, Luca Conti had 11 points and Dalph Adem Panopio chipped in 10 points. 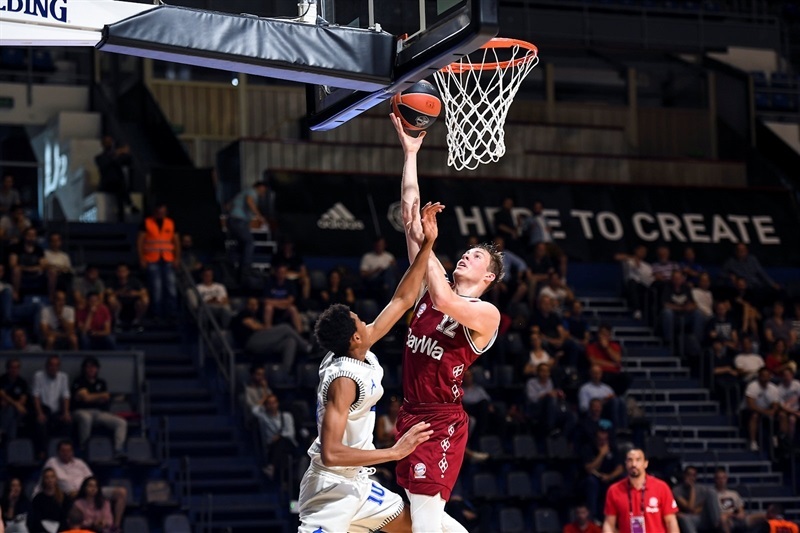 Stellazzurra shot 34 percent for the game but forced 24 Bayern turnovers in grabbing the win - the club’s first in the ANGT Finals history after going 0-3 in 2015. 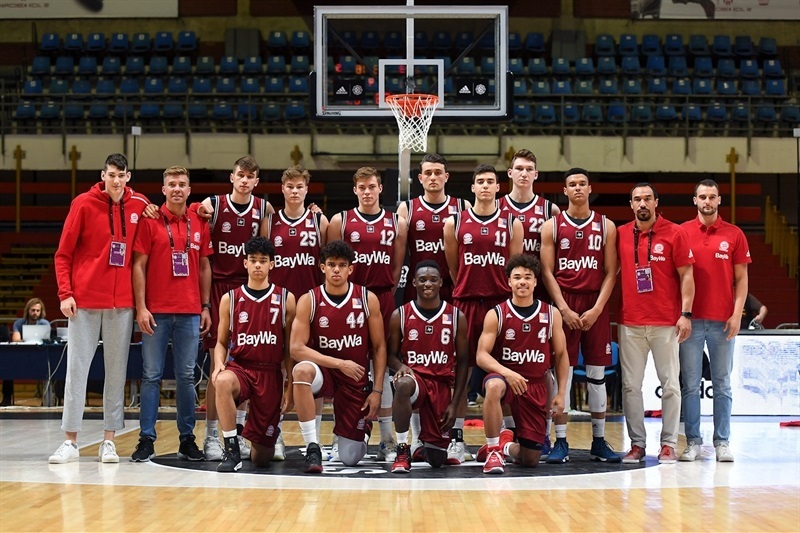 Bayern lost its first-ever ANGT Finals game despite Bruno Vrcic scoring 20 points to go with 8 rebounds. 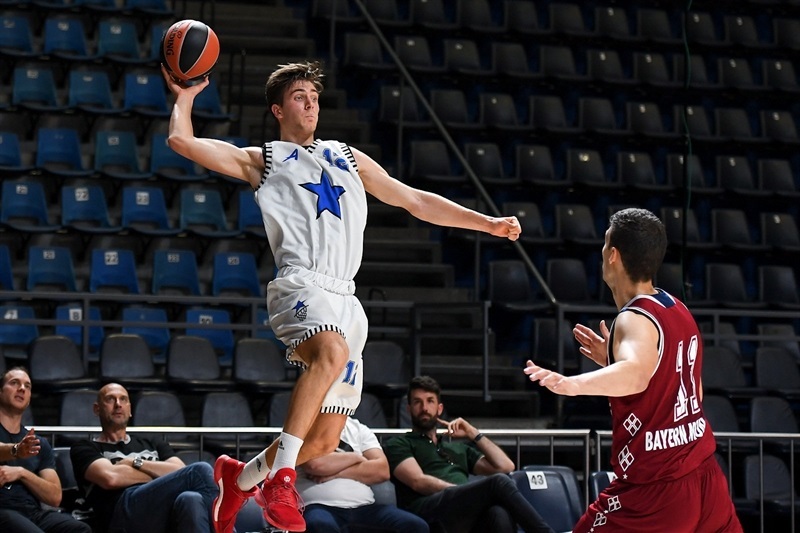 Vrcic played a major role in building a big lead early on with 9 points as Bayern was up 6-14. Stellazzurra was able to get back into the game and trailed just 15-17 after 10 minutes. The game went back and forth in the second quarter with six straight scores resulting in lead changes. Bayern was up 31-33 at the break. 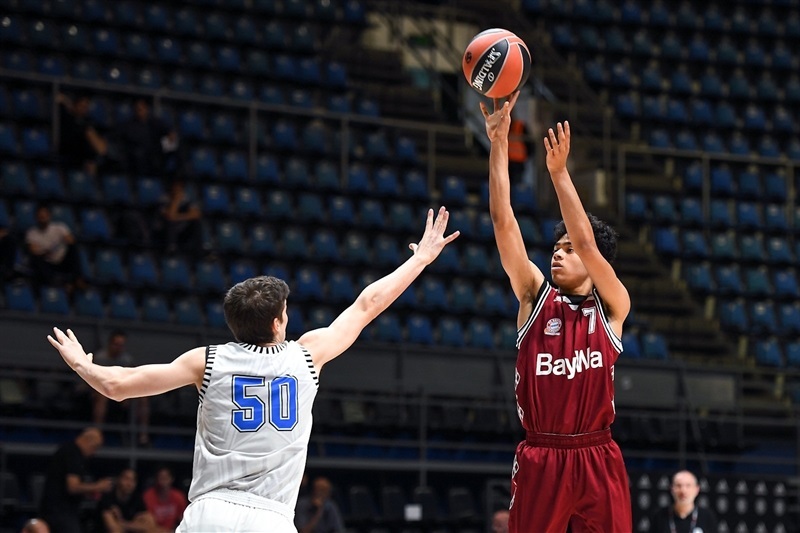 Bayern moved ahead by 6 points - 33-39 - early in the second half but watched as Stellazzurra made it 37-39. 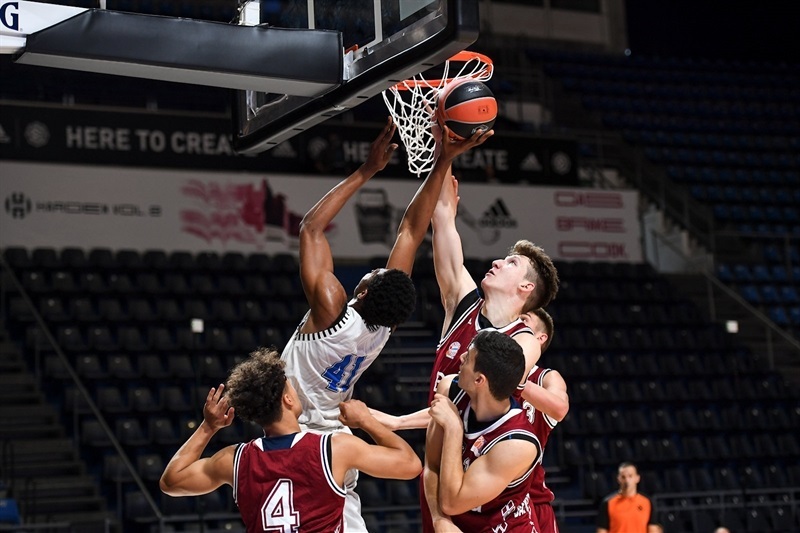 Daniel Zdravevski and Sasha Grant both knocked down three-pointers as the cushion grew to 40-47. The Italian club used a 9-1 surge to reclaim the lead and was up 51-50 after 30 minutes. 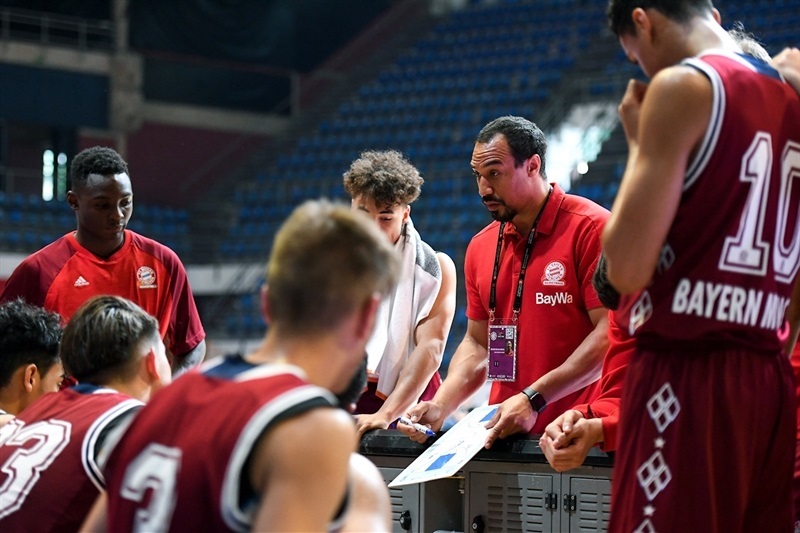 Vrcic and Zdravevski hit three-balls and Bayern was leading 55-61 with less than 5 minutes to play. But Eboua took over in leading the Stellazzurra comeback. 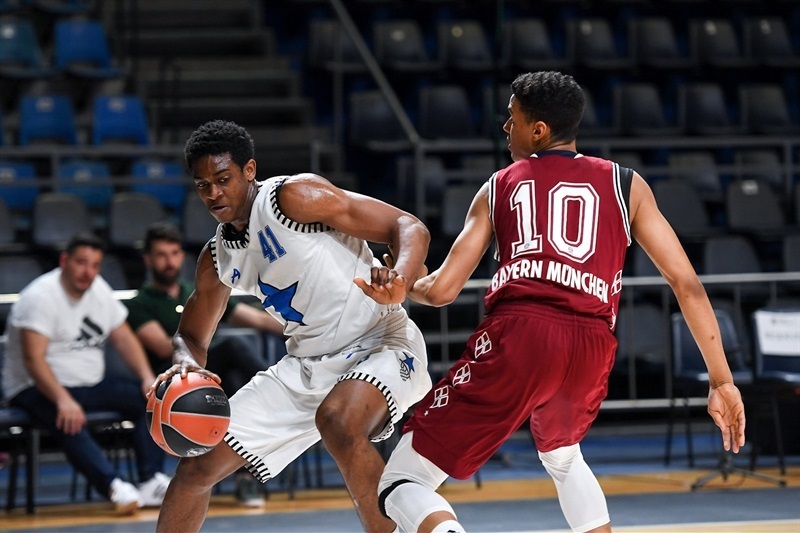 He had two blocks and a steal on defense as Bayern was held scoreless for 4:45 minutes while also hitting two free throws to tie the game 61-61 and then scored the next two baskets for a 65-61 lead - and the historic win.